Wondering which format are supported for playback on your iPhone XS (Max)? Want to Play DVD, MKV, AVI, MOV, FLV, VOB, DAV, etc videos to iPhone XS (Max)? Check this guide to see iPhone XS specs, and lean how to play videos or movies on iPhone XS (Max). The iPhone XS is an upgraded version of the 2017 iPhone X, keeping the same design, 5.8″ OLED display and dimensions, but featuring upgraded internal components, like a ground-breaking, 7nm A12 Bionic chipset with more power and greater efficiency. The new, 12MP dual camera has a bigger sensor and larger pixels for better image clarity, while advanced software and a new signal processor enable better HDR capturing and Portrait photos with adjustable amount of bokeh. The iPhone XS offers Face ID, louder stereo speakers, and better, IP68 water resistance. The great screen makes enjoy HD movies on iPhone XS (Max) is fantasitic. But can we play all movies like DVD, MKV, AVI, MOV, FLV, VOB, DAV, etc on it? You need to know of what formats can play on iPhone XS (Max). Obviously, this mobile phone supports limited video formats. For playing all movis such as DVD, MKV, MOV, AVI, WMV, FLV, VOB, DAV movies on iPhone XS (Max), you have to convert these files to iPhone XS (Max) supported formats via third-party software. Here you need video converter for iPhone XS (Max). UFUSoft Video Converter Ultimate is a handy video converter that convert any movies/videos to iPhone XS (Max) playable format. 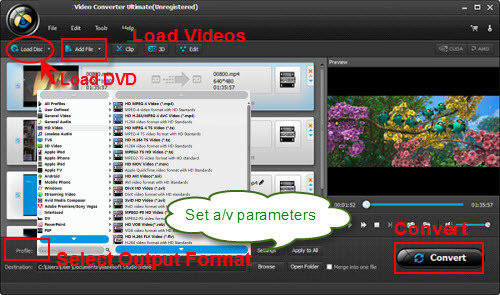 With this smart video tool, you can convert DVD, avi, mkv, wmv, flv, rmvb, flv, mpg, mov, mp4, dav, m2ts, vob and etc. videos to iPhone XS (Max) playable format. If you are running Mac system, you can get Mac version for this iPhone XS (Max) video converter – UFUSoft Video Converter Ultimate for Mac. Part One: How to convert DVD for iPhone XS (Max) via iPhone XS (Max) Video Converter? Step 2: According to official website, H.264 MP4 is the most compatible video format for iPhone XS (Max). So, here we recommend you “Common Video”, “HD Video” or “Nokia” category to get H.264 MP4 as the export format. It would fit on iPhone XS (Max) perfectly. Step 3: After all these have been prepared, just click the “Convert” button to begin the DVD to iPhone XS (Max) conversion. Part Two: How to MKV, AVI, MOV, FLV, VOB, DAV, etc Videos on iPhone XS (Max)? Step 1: Run UFUSoft Video Converter Ultimate s the best iPhone XS (Max) format converter. Click “Add Files” to import MKV, MOV, AVI, WMV, FLV, VOB, DAV, DVD, etc video files from you computer. Another method to import files is the simple drag-and-drop operation. Batch conversion is supported so you can load multiple files at a time. If you want to join all the imported files, just click “Settings” icon then tick “Merge into one file” on the bottom. Step 2: Simple click “Format” bar to choose iPhone XS (Max) supported format. 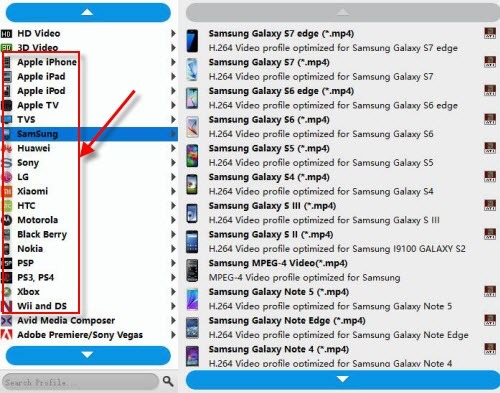 You can go to “Common Video”, “HD Video” or “iPhone” category to get H.264 MP4 profile. Step 3: In the end, click the big Convert button to start converting MKV, MOV, AVI, WMV, FLV, VOB, DAV to iPhone XS (Max) compatible files. When the conversion completes, click “Open” to locate the converted media files. After that, transfer them to your iPhone XS (Max) and enjoy them on the go freely. How to Convert DAV to MP3 with DAV to MP3 Converter? How to Convert DAV to FLAC with DAV File Converter?